Kindergarten- The Place For Learning and Fun! : High School Students Read to Kindergaraten! 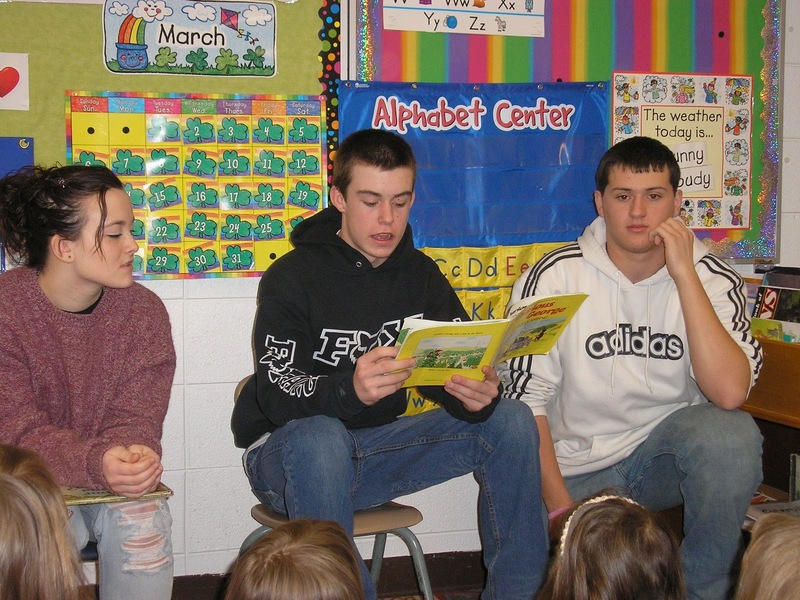 Fairfield High School Students from Mrs. Mayer's class comes to Washington School to read to selected classes. The students enjoyed having "big" kids to hang out and read with. 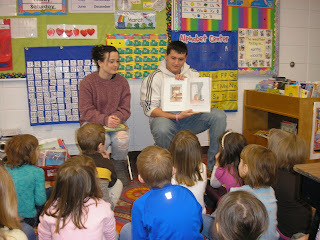 Sophmore Tyler Gilmore and freshman Erica Topping are the first to read to our class. Cian listens as Tyler reads. 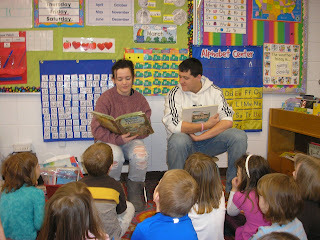 Erica Topping and Tyler Gilmore read the books- Is Your Mama a LLama? and There's a Nightmare In Your Closet. 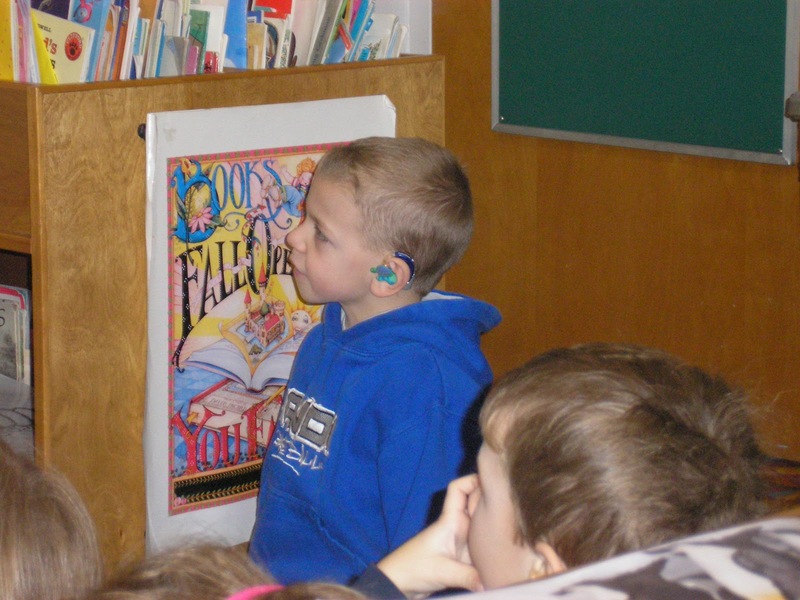 Justin Leonard reads about Curious George. Thanks for reading to us! We enjoyed having you!